Choosing the perfect flooring for any room in your home can be as simple as asking yourself the following questions. You may love having a dizzying number of flooring options. Or you may feel just a little bit stressed by it. All those materials, brands, colors, and sizes can be overwhelming, especially when you’re not quite sure what you want. Relax. Sorting through flooring choices is simpler than it seems. 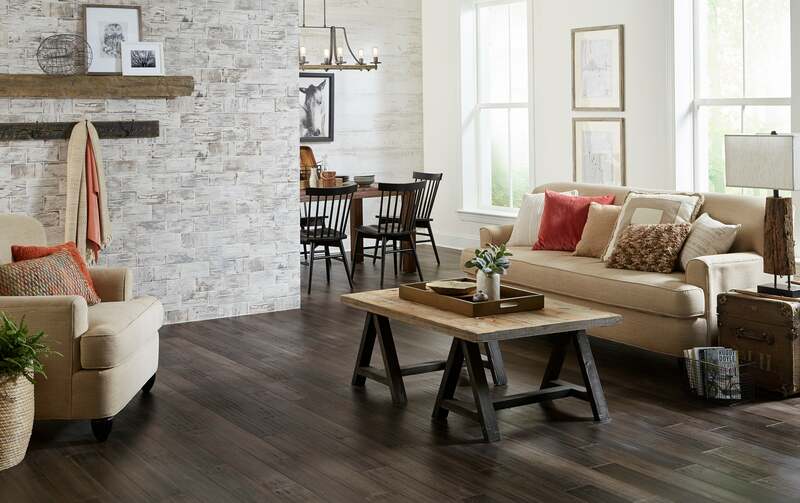 By asking yourself the following questions, you can narrow down your options and have fun picking the perfect flooring for any room in your home. Different types of flooring offer different levels of durability and functionality. For example, if you have kids or pets, or if you’re choosing flooring for the busiest room of the house, you’re best steering toward high-durability products such as waterproof flooring, solid wood, or tile. Factors such as the amount of moisture in a room and the location of the room also come into play when choosing flooring. For example, solid hardwood and bamboo are not typically recommended for bathrooms or basements because of the potential for moisture damage. Luckily, Floor & Decor has flooring options for every floor of your home. The type of subfloor in the room also matters because certain flooring materials won’t properly adhere to certain types of subfloor. Be sure you know what’s under your floor before you shop. We all bring our personal tastes to home design. You may prefer modern, contemporary, coastal, antique, rustic, curated, farmhouse, urban, or other types of design. Each of these styles presents a range of opportunity for flooring; having an idea of which of those styles you like—or dislike—helps. Your home’s style and setting can also contribute design cues. For example, decorating a beach cottage may nudge you toward different choices than an urban condo, a suburban Victorian, a rural raised ranch, or a downtown loft. You may have a vague idea of what you’re looking for. Or you may have photographs from a design magazine, images from Pinterest, or video from your favorite home decorating TV show. Either way, be sure to bring your inspiration sources with you when you shop. Your inspiration may even be a design element already in the room that can serve as a starting point for you. “Pick the one thing you want to build off of,” Erath suggests. “Whether it’s the countertop or a mirror or a lighting fixture, you can start there and design the room around it.” Or you can start with the floor—choose one you love and design the entire room around it. Do you like the latest styles fresh from the hippest decor trendsetters? Or do you prefer traditional designs that never go out of style? Either way—or if you’re somewhere in the middle—knowing where you stand on the trend spectrum can help you decide whether to lean in to the sharpest new looks or stick with more familiar styles. Another cutting-edge trend is using flooring on walls. “People aren’t just painting their walls or putting up wallpaper anymore,” Andrade says. 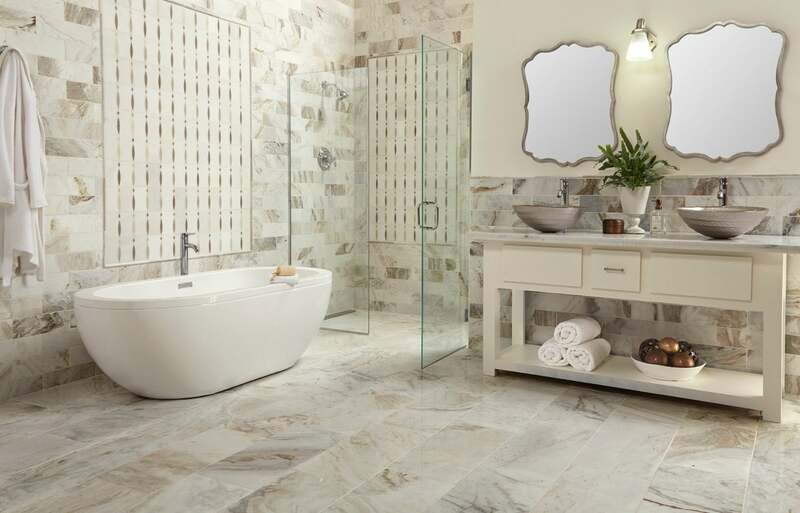 To bring new life to walls, designers and homeowners are going vertical with traditional flooring materials such as marble, stone, glass tile, or wide wood planks. “One accent wall like this can really pull a room together. It gives the room a lot of character,” Andrade says. Choosing the perfect flooring for any room in your home is even easier when you have expert advice. Floor & Decor has trained associates, ready to help with all your project needs. For more in-depth assistance, you can take advantage of Floor & Decor’s free in-store design services. 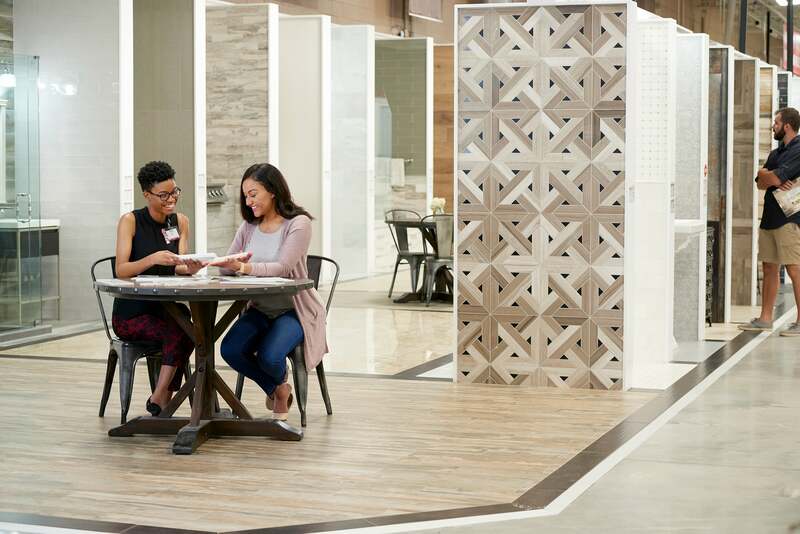 With expert guidance and an honest assessment of your design aesthetic, you’ll be sure-footed on the path to deciding which flooring works perfectly for you and your space. And always remember, when you start with perfect floors, your design can only go up from there.